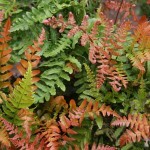 The fronds unfurl coppery-red, then change to soft green and finally to deep green as they mature. It is very showy in the spring. 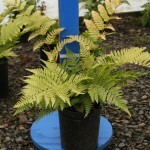 It does best in full shade to part shade, preferring a moist, rich soil. The soil must not be allowed to dry out. The plants spread over time via short, creeping rhizomes.